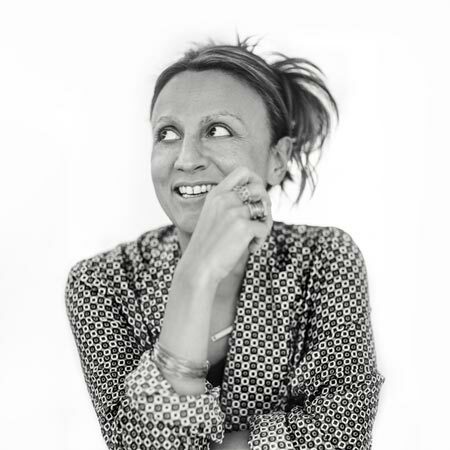 Frédérique Dessemond is GINETTE NY designer. She was born in Marseille in the South of France and grew up in « la Cite Radieuse » an architectural complex designed by French architect Le Corbusier known for minimalism and pure geographical lines. After studying art history in one of the best schools in France, she won the green card in a lottery and moved to New York in 1999. In 2002 she started the story of GINETTE NY. A brand dedicated to strong women, aware of their own power and uniqueness. 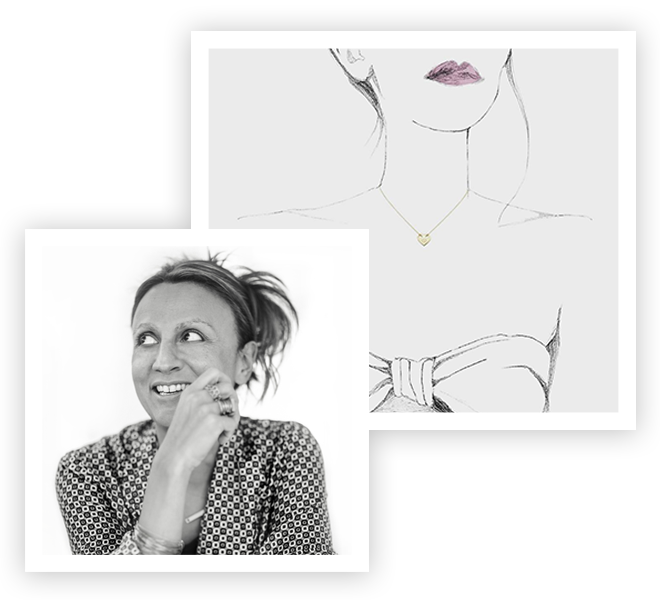 GINETTE NY originated the concept of Contemporary Jewelry and created a world where each woman can invent her own modernity, made of a subtle balance of achievements, emotions, and sensuality. Pure materials and natural stones, architectural and design inspiration, luxury of simplicity, purity of shapes, the collections are the reflection of a unique artistic expression. A New vintage inspiration, sensual experience, Paris-NY lifestyle. A connection between jewels and skin, like an extension of oneself, an opportunity to show your unique personality. A unique DNA in the world of contemporary jewelry. 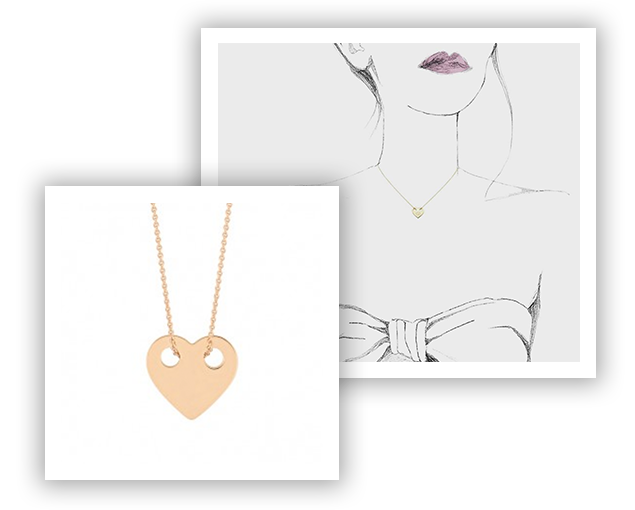 Ginette NY’s mini heart on a chain displays the brand’s penchant for elegant and modern designs. The even lines of the heart contrast with the texture of the chain and play off the smooth surface of the rose gold. The necklace carries a hint of whimsey due to the proportionally larger holes through which the chain threads. In short, it is chic as only something designed by a French woman could be!